Carl Heneghan is Director of the Centre for Evidence-Based Medicine, a General Practitioner and Senior Tutor of Kellogg College. those with common problems, and his work focuses on improving the evidence-base to change practice. 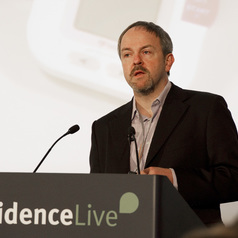 Carl's work also includes investigating the evidence base for publication bias and drug and device regulation, and he is an international expert, advising governments, on the regulatory and evidence requirements for devices and drugs as well as evidence-based projects in the public interest. He is also a founder of the AllTrials campaign.